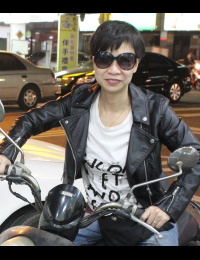 Choi EE is an enthusiastic promoter of parent-child reading in Hong Kong. She has over 10 years experience in conducting trainings for parents in local kindergartens, primary schools and community centres to spread the love of reading amongst parents and children. She runs reading clubs in the community and hosts parent-child talks and workshops about reading. She trains social workers and teachers on how to read stories and provides regular trainings to the elderly, adults and children. Angie holds a M.Ed. in TESOL from University of British Columbia, Canada, an M.A. in Communications from Purdue University, U.S.A. and a B.A. in English from Nanjing University, China. 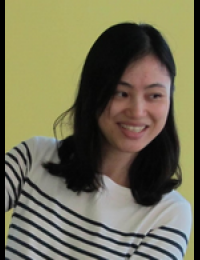 She has worked as a college English teacher, corporate trainer, consultant, English and Mandarin tutor, and playgroup instructor. A strong believer of the importance of reading to young children, Angie is keen to spread the joy of reading to more. Since she joined Bring Me A Book, she has been active and well received to read stories in schools, community centers, organizations, and events like International Readers Festival. After completing degrees in Mathematics and Meteorology in the UK, Chris started his experiential education career in Outward Bound Hong Kong. Then he served in the Life Front-Line Sailing Ministry, a sail training organization in Christian values. 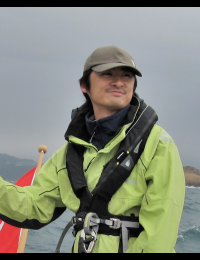 As skipper of the training vessel "Spitali", he combines hands-on experience on board with academic knowledge, by teaching the students to apply academic theories in the real world. "Project Voyager" is the first project designed around boat making and sailing. It was launched in conjunction with a local secondary school in October, 2014. ​Ms. Ching founded Above and Beyond, an education centre in Sham Shui Po that instructs on positive education to support primary and secondary school students, their parents and teaching and education professionals. Her students, colleagues and community at large all benefit tremendously from her passion and expertise in promoting Positive Education.She holds a Masters in Social Policy from the University of York and a Postgraduate Diploma in Human Resource Management and Training at the University of Leicester, both based in the UK. She continued her professional development and overseas training in Positive Education at the Geelong Grammar School in Australia and Social Emotional Learning at the University of California Berkeley in the US. Ms Ching has extensive experience working for the Employees Retraining Board. She was also seconded to work at the Education Bureau, where she successfully launched a promotional series for the new culture of education and produced the well known promotion video “Learning is not scoring”. 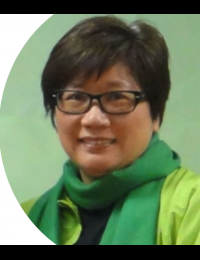 She has also served as an External Advisor of the Higher Diploma of Public Policy and Administration Course and an External Advisor and Examination Reviewer of Yi Jin Diploma for the School of Continuing Education at Hong Kong Baptist University. Ms Ching is also an organizing member of the ‘Family-Friendly Employers Award Scheme' and a member of the Advisory Group for the ‘Financial Education Programmes for Grassroots' of the Investor Education Centre, a subsidiary of the Securities & Futures Commission. She has been awarded “Hong Kong Outstanding Women Volunteer” of Hong Kong Young Women's Christian Association.